It’s been a big week for expansions as we just learned that Bar Pilar will also be expanding soon at 1833 14th St, NW. 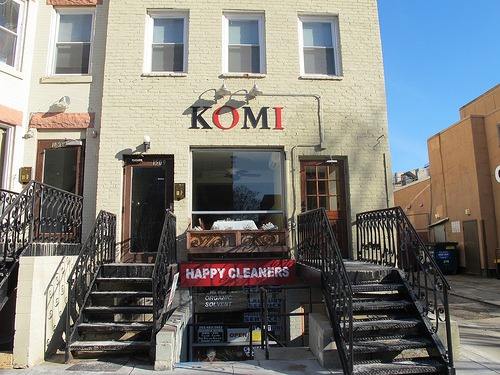 Komi located at 1509 17th Street, NW has long been on my special occasion must try restaurants list. We judged Komi back in Feb. ’09. And now it soon looks like I might get a chance to try them out. Even before Pres. Obama visited the restaurant it has always been tough to get a reservation. I’m guessing that’s going to be into the dry cleaners space. Do you think an expansion is a good idea? It’s Been Over 4 Years, I’m going on Vacation!